It is natural for our skin to produce minute quantities of oil. However, for women with oily complexions, this can be bit excessive. It leads to an uncomfortably slick and shiny look, and can ruin makeup in a matter of hours. If your skin tends to secrete excess oil, face powder is your best friend. This is why we have created this article about the best powder for oily skin online. The 10 products included here were chosen based on user ratings and reviews. 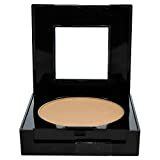 Thanks to its creamy texture, this soft pressed powder gives excellent, seamless coverage to your skin. If you want your face to look extra smooth, this powder is a good choice. It will keep you comfortable, even during summers with excessive heat and humidity conditions. The powder has a fine, non-oily texture, and can absorb the excess oil from your face. 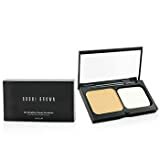 All your pores and lines will be kept well hidden with this Bobbi Brown powder. Loose powders get some stick for not being travel-friendly. If you have oily skin, you need a compact that you can carry around, without worrying about a mess. This MAC Blot pressed powder might be the answer to your prayers, as it is imbued with the oil-absorbing power of silica and mica. It has been specially crafted for extra shine control, which is something you can’t do without if you have oily skin. While we’re at it, this powder doesn’t mess with your skin’s color or texture, which makes it a great option for setting your foundation. Now, for something truly unique and out of the ordinary. Guerlain first made waves in the face powder niche with these pearls decades ago. Even after all these years, they remain extremely popular among women with oily skin. This is an advanced powder formula, pressed into the shape of small, round pearls. It contains a light-creating polymer that transforms your face with an elegant glow. The different colored pearls have various duties, like yellow for countering redness, and pink for freshness. If your skin is extra sensitive to all those minerals and chemicals, this Palladio powder is the best powder for oily skin you could try. This is an extremely light face powder, made from a rice base. It easily absorbs excess oil, to create a pleasant, matte finish on your face. The whole thing feels extremely natural and comfortable when you apply it on your skin. It can be used either as a setter for your foundation, or purely as an oil reducer. The powder has a very soft and soothing scent. You will get a long-lasting, smooth finish using it. This is a very stylish-looking compact from NYC. 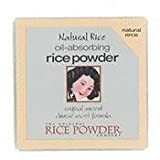 If you are always on the go, and suffer from the trials of an oily complexion, this powder could be the best powder for oily skin for you. It is ideal for those quick touch-ups throughout the day. 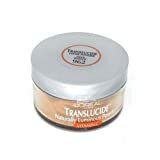 With an incredibly silky texture, this powder gives a very smooth finish to your skin. All those pesky blemishes and imperfections can be dealt with promptly. On top of it all, this powder has been dermatologically tested for safety. The matte finish is perfect for dealing with oil-related shine. If your skin can be roughly categorized as “dry combination to oily,” this powder is tailor-made for you. Using it, you will not have to worry about the unholy mess of mixed makeup on your face. It will create a very natural-looking complexion, while reducing all that excess oil content. This is an extremely lightweight powder, designed to give your skin a matte finish. Available in pressed form, it is great for quick touch-ups all throughout the day. For women who suffer due to excess oil on their face, this setting powder can offer a viable solution. This is a lightweight formula that should last for a long time when applied as a setter or finisher. And since it is translucent, it will be extremely complementary to the effects of your foundation. Your face will get a natural glow, along with the healing and nourishing effects of Vitamin C. It effectively eliminates the shine caused by oils, and can even reduce lines and wrinkles. This is another pressed powder vying for the title of the best powder for oily skin. And it is a close contender, with a unique blend of minerals that focus on absorbing all that excess oil. This is a powder capable of giving a very soft finish to your skin. It can blur those pores and wrinkles with a high degree of efficiency, thanks to its light reflective abilitie. This is another quality powder enriched by the antioxidant powers of Vitamin C and lilac plant stem cells. This powder uses French Talc as its base ingredient. It is a highly-regarded powder, renowned for the extra fine texture of its minerals. They call it “Cashmere” due to its silkiness and lightweight nature. It has light-reflecting properties, which can help make those lines and pores disappear. This is the perfect powder for those who want to avoid the much-dreaded shiny look. It absorbs all the excess oil, without caking or ruining your foundation. Though it doesn’t have a matte finish, its oil control effects are excellent nonetheless. This is the best powder for oily skin out there. It works as an ultra lightweight cover for the foundation, for women with normal to oily skin. With a strong mattifying effect, it takes the shine out of your cheeks, and replaces it with a natural-looking glow. With the goodness of micro powders, this product can make your pores and lines disappear. It doesn’t clog your pores, and provides coverage for over 12 hours. This powder is available in 12 different shades. You can use. It doesn’t cake, or get mixed with the base layers. If you have extremely oily skin, finding the best powder for oily skin should be your mission. Regardless of what the brand says, you will need to do touch-ups at least a couple of times a day. We hope you found our review of the best powders for oily skin useful. Do you have any thoughts or suggestions to share? If so, check out the comments section below. We would love to hear from you!